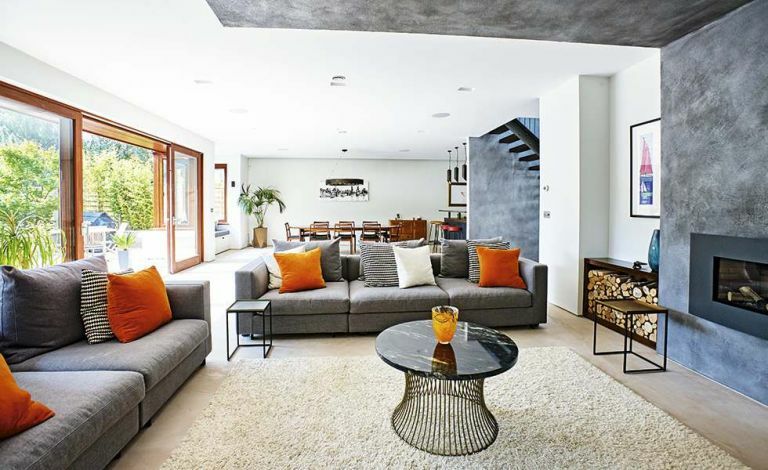 The conversion of this run down property by interior designer Sarah Rossiter and her husband, Ed, a professional project manager, saw them win Reader’s Choice in the Real Homes Transformation Awards. They spent 18 months looking for their conversion project, eventually discovering a 1920s bungalow that had been converted into two flats with a warren of poky rooms. Now the ground floor is a large open space with new blue kitchen, dining area and living room. The polished concrete floor and absence of skirting boards or architraves gives it a stripped back, contemporary look. Its eco-credentials are high, with solar panels on the roof that power the house and their electric car.